The revelation that rye had been distilled in pot stills, and in commercial quantities, in Scotland came as a surprise – not least to the four distillers involved, each of them unaware that they were not alone in their endeavours. After a long hiatus – and a chequered history – rye is back, reports Dave Broom. Rye has been little planted in Scotland for many years, and what is in the ground today is typically utilised for fodder or biofuel. The notion that the grain might be used as a base for whisky, therefore, has been an unlikely development. After all, rye hasn’t been distilled since the early part of the last century – and even that mini-revival represented an uptick in rye’s fortunes. In 1815, the Board of Agriculture’s General Report of the Agricultural State and Political Circumstances of Scotland revealed that there was ‘excessively scanty cultivation of rye in a very few districts’, with ‘little grown in the more improved districts of Scotland’. The report went on to say that, while ‘rye has … been cultivated for ages in the Hebrides… [and was] reckoned to be more profitable than the miserable grey oats which are usually cultivated by those islanders’, it was in decline as a profitable crop. The only documented instance of rye being distilled in pot stills in Scotland found to date was in the late 18th century, when John Stein used it for the production of a genever-style gin. Its fortunes as a distilling grain revived with the mass adoption of patent stills and the rise of blends. When Alfred Barnard visited Port Dundas in the 1880s, he reported that one of its two granaries contained ‘14,000 quarters of barley and rye’. Although rye was more expensive to use, Ross outlined its importance. Unmalted rye was used as the medium in which to cultivate a distillery’s own yeast strain, while malted rye was believed to give ‘a thicker and heavier whisky, which improves the body of the whisky’. Research is under way into the possibility that an experimental pot still was being used in the 1920s to trial the use of different grains. Until that is proven, it seems that the four distillers who have made Scottish pot still rye this year – Bruichladdich, Diageo, InchDairnie and Lone Wolf – have broken new ground. Why revive rye? Because it’s hot. There are at least three being made in England, while it is also being produced in Denmark, the Netherlands, Germany, Austria, India and Japan, as well as in what is seen as its homeland of the US and Canada. Scotland’s four distillers (five if you count Arbikie, the Angus distillery that made a high-strength rye spirit in a column still two years ago) are reviving an old tradition, but also tapping into a global movement. 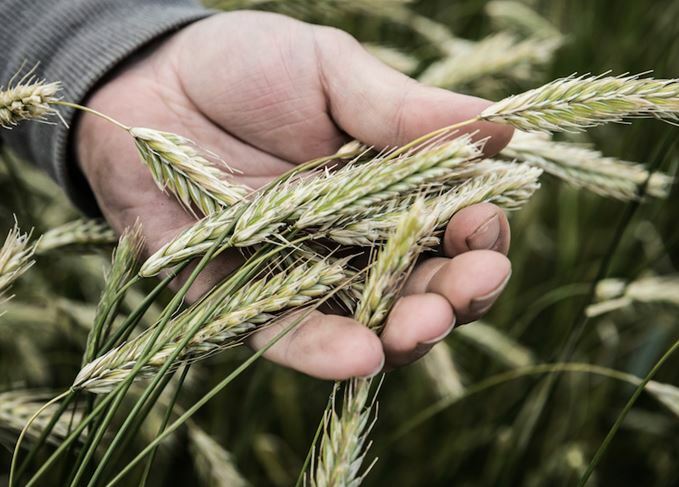 ‘We’d been thinking of rye for a couple of years,’ says Bruichladdich distillery manager Allan Logan, ‘so this year we planted 10 acres at Coull [Farm], which we expected to yield 17 tons. Meanwhile, InchDairnie’s approach saw the distiller sub-contract various parts of the initial research to specialist firms in August 2017, as well as opening discussions with the Scotch Whisky Association (SWA). The rye was sourced by the maltster Muntons, which micro-malted it at its facility in Stowmarket, Suffolk. The mashing regime was worked out by Belgian specialist Meura, while Mauri was commissioned to source a suitable yeast. The initial distillation was run by technical and research service provider Campden BRI. ‘A huge R&D effort was needed,’ explains InchDairnie managing director Ian Palmer. ‘Subcontracting to these specialists meant that we didn’t have to compromise. It was all about developing the process of developing the process.’ Once all was in place, the final trial distillation took place using the pilot still at InchDairnie in August this year. In the meantime, Steven Kersley had been running different mashes of rye at the Lone Wolf distillery since June 2016. Rye mashbills are now being made in commercial quantities, and the grain is destined to become a permanent fixture of its whisky portfolio in the future. All were, however, trumped by Diageo, which has revealed exclusively to Scotchwhisky.com that it had run its first rye trials at its Leven pilot plant in 2015, where a 51% rye mashbill was distilled. The spirit is currently maturing in American oak casks. ‘Because the trial went well, we have subsequently scaled up the production of rye at two of our distilleries, and made a larger amount of stock which may then be fed into the Johnnie Walker pipeline,’ says Dr Nick Morgan, Diageo’s head of whisky outreach. It also means that, in the past two years, and unbeknownst to each other, seven distilleries have made pot still rye in Scotland. Make no mistake: rye is back. Are big whisky producers a force for good – or are they holding the whole industry back?